Whether you're looking to relax and get comfy or warm up for a game, custom sweatpants are the way to go. What better way to show you individual style or show off your team, school, sorority or fraternity or event than by creating custom sweatpants. Thousands of teams have trusted Shop4Teams with their apparel orders since 1985. Featuring customized uniforms, warmups and practice gear, Shop4teams has athletic apparel to fit any budget. You’ll find the brand names you love and trust including Hanes, Jerzees, Badger and Holloway. Our products come only from the most trusted brands. This means your adult sweatpants will always be of the absolute highest quality. Whether it's for your school team, rec league, or for an upcoming event, personalized sweatshirts make a great addition to your team apparel. We have mastered the art behind custom made sweatpants. It’s what we do. It’s our livelihood. Our vast inventory has something for people of all personalities, shapes, sizes and ages. Get creative and customize your own sweatpants with your team name, school name or just a unique phrase that only you and your friends will understand. Pair your customized sweatpants with one of our personalized hoodies for a complete awesome, warm outfit. There is nothing quite like having your own customized sweats. You’ll want to wear them night and day. So don’t sit around in those generic, lifeless and uncomfortable sweats another day. Don’t settle for boring adult sweatpants, when you can have your team name printed on the leg, hip or back of sweatpants from Badger Sport, Gildan, or Holloway? It’s all just an order away at Shop4Teams. 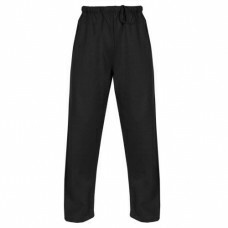 At Shop4Teams, we create innovative, top-quality adult sweatpants that you alone will wear. Our friendly & knowledgeable sales & service team is here for your via phone, email, and chat. So before your next game, get designing and make that awesome sweatsuit to show off your pride! Size chart Embroidered badger logo on left hip .. Size chart 8.0 oz., 50/50 cotton/polyester - Slightly tapered leg with open bottom - Covered.. Size chart 8.0 oz., 50/50 cotton/polyester - Reduced pilling and softer air-jet spun yarn - .. Size chart When comfort is a priority, reach for these 50/50 sweatpants with elastic waistband an.. Size chart 9 ounce 60% cotton/40% polyester athletic fleece * Woven label * Covered elastic wa.. Size chart 8.0 oz., 50/50 cotton/polyester - NuBlend® pill-resistant fleece - Triple-needle cover.. Size chart 9.5 oz., 50/50 cotton/polyester - Elastic leg openings - Double-needle stitched elasti.. Size chart Comfortable basics in NuBlend® pill-resistant fleece, with a feel-good covered waistba.. Size chart 9.5 oz Ringspun 60% cotton/40% polyester Multi needle elastic covered waistband Inside dr.. Size chart 12 oz. Sueded ringspun 60% Cotton/40% polyester ofter feel and low pilling Athletic cut M.. Size chart 100% Polyester moisture management fabric Covered elastic waistband & drawcord .. Size chart 100% Heathered polyester moisture management fabric Covered elastic waistband & drawc.. Size chart Premium polyester fleece · Open bottom with side zipper · Side pockets with zipper · Elas.. Size chart 9 ounce 50% cotton/50% polyester smooth athletic fleece. Covered elastic waistband with i.. Size chart 100% polyester performance wicking fleece * Wicks moisture away from the body * Covered e.. Size chart 10 oz. PREMIUM fleece, 60% cotton/40% poly · SIDE POCKETS with seamless side · OPEN BOTTO..